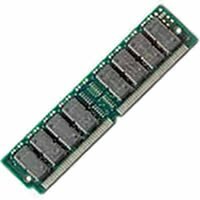 16MB 70ns FPM SIMM 72-pin RAM Memory Upgrade for the Compaq HP LaserJet 5 by Top Manufacturer, Lifetime Warranty at MDA-MA. MPN: 696426. Hurry! Limited time offer. Offer valid only while supplies last. If you have any questions about this product by Top Manufacturer, Lifetime Warranty, contact us by completing and submitting the form below. If you are looking for a specif part number, please include it with your message.